Hmm, so my latest posts have been about music. I'm going to start this song of the day thing. Now let's see if I can find a new song to fit my mood/post. Because I'm so excited for Warped Tour in July ! 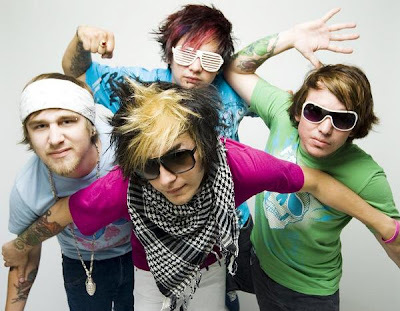 Today's song is "2 Drunk 2 Drive" from brokeNCYDE [one of the bands playing at Warped]. You can listen to it on my playlist. "Get crunk, get drunk, get f***ed up. Throw your hands in the air, that's what's up." lol that's a good motto and MUSICCCCCC!!! !